Cleaning up oil spills in environments such as rivers or waterways is vitally important. This article raises the awareness of the dangers that oil spills can cause and discusses how oil spill kits and specific products such as marine oil spill kits can help you. Last weekend, we came across a very interesting article discussing the likelihood of another clean-up operation for a major oil spill. The location is the Amazonian regions of Peru, and this news article provides further detail. In short, an oil spill from a major pipeline has been identified and urgent steps are being taken to try and fix the ruptured pipeline and clean up the oil spill. Details are rather sketchy but it is widely accepted that the Amazon is one of our planet’s most fragile ecosystems and the tension between oil companies and indigenous people in the area shows that feelings are running high. Oil spills are never good; but when they take place in a fragile and vulnerable environment then the ramifications can be far reaching. The Amazon is one such area. Another area is rivers and waterways. The tiniest amount of oil spilled into a river can spread and stifle life, food and habitat for a number of different animals. 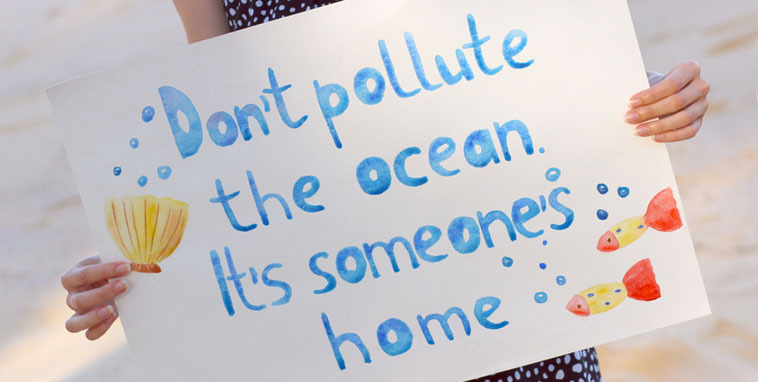 To prevent these issues, this is why cleaning up oil spills – and knowing how to do so – is vitally important. This article goes on to explore the products that you will need. 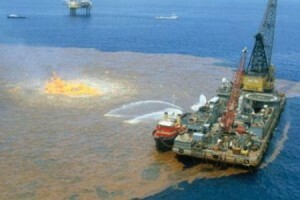 The first key thing to remember when thinking about products needed to tackle an oil spill is to think of their colour. Oil only absorbent products are white so this is the colour that you should be looking out for. The key feature of these oil only absorbent products is that they are hydrophobic. This means that they only absorb oil and they resist water. This is why these products are perfect for waterways spillages for things like canal boats. Take our marine oil spill kit for instance. This contains absorbent pads, socks and cushions as well as some leak sealing putty to try and stop the leak at source. In an environment where any oil spill will be mixing with lots of water, the hydrophobic properties of the products in this spill kit make it the perfect choice. One kit absorbs up to 22 litres of oil which makes it ideal for smaller boat spills. At a time of year when people are thinking about their holidays and with vessels such as narrowboats becoming more and more popular, this is a must-have product. For a larger oil spill, we have products that go all the way up to catering for a 900 litre oil spill. These larger products are more aimed at industrial settings where leaks on large machines can cause a high volume of oil spillage. An example would be our premium range 360 litre oil only spill kit. This kit comes in a mobile 2 wheeled bin and contains a huge array of absorbent pads, socks and pillows as well as disposal bags and a floor sign. If your workplace runs the risk of oil spillage then you should think about one of these products to allow your company to comply with the law and be environmentally friendly. We are not saying that the spill kits mentioned in this article would be suitable for an oil spill on the potential scale of the one mentioned in the news article above. However, we are saying that the basic and fundamental point about the dangers of oil spills on the environment applies equally to both scenarios. Regardless of their size, smaller oil spills still need to be treated carefully to avoid irreparable damage to the environment and all of us handling oil or operating machinery using oil have a duty to take special care. The products mentioned in this article will help you to do that. At Spill Control Centre, our product experts would be happy to discuss any questions arising from this article – just give us a call on 01724 281044 / 277479. This entry was posted in Spill Control and tagged oil spills, Spill clean up on July 1, 2016 by neil.stocks. Prevent spillages in the workplace from turning into an environmental disaster with the help of Plant Nappy, a great product used to contain the dangers of oil spills in the workplace. Any parent knows that dealing with a baby’s nappy isn’t the most pleasant part of raising a child. Imagine how much worse it would be if the baby didn’t have a nappy at all. Yet, for a moment please try to imagine just that; magnify the result on an industrial scale, and consider the potential effects on the environment not just of spilled human waste but spillages of all the other liquids, such as fuel and oil in its multitude of forms, that we rely on to sustain life as we choose to live it in the 21st century. By focussing on spillages in the workplace we must emphasise that we mean this in its broadest possible sense. It encompasses far more than back street garages and industrial parks, but major industrial concerns, farmers’ fields, and even fishing grounds at sea. If you take the effects of oil spills in the latter then it is clearly apparent that the effects can be wide-reaching and long-lasting; simply look at the Deepwater Horizon incident. However, even much smaller oil spillages in the workplace can damage the food chain, or even destroy it completely. Put simply, if even a small amount of oil is spilled and reaches a watercourse then the consequences can be alarming. Water is made up of polar molecules and oil is made up of non-polar molecules. When they come into contact, they do not mix – the oil does not dissolve into the water. The effect of this is that it simply sits on the water and clogs up the marine ecosystem. It gets into the fur and feathers of animals and it generally prevents them from functioning properly; it is also highly toxic. Gradually, over time, this prevents the ecosystem from functioning and this can have indirect consequences all the way up the food chain. This is why anyone working with fuel or oil that can be spilled (and they all can) should be protecting the environment by planning for when that spill happens – as it surely will, eventually. Oh, and not to forget that apart from the environmental effects, there are also significant financial consequences for companies permitting spills that endanger the environment. We would encourage you to read on in order to discover one possible solution to this risk. Prevention is always far better than cure. This is where the plant nappies come into their own because, used properly, they form the perfect ‘safety net’ for spillages in the workplace. Their main function is as a ‘safety first’ base for people working in a variety of sectors, such as construction, heavy industry, agricultural workers or mechanics. They are perfectly designed to allow plant and machinery to be positioned onto them in order to act as prevention for any spillages in the workplace by catching any leaks from the item of plant. The absorbent material in the nappy is always ready to contain any spill, such as might happen when refuelling by hand from a container of petrol. The really clever part is that plant nappies are clever enough to distinguish between harmless water, which they allow to pass through, and fuel & oil, which are captured. What makes this a really useful feature is that the absorbency you’ve deployed isn’t wasted on water, but is exclusively available for what really needs to be trapped for safe disposal. They are so much more effective than old-fashioned drip trays because after a spill the fuel or oil they have contained can easily be disposed of, whereas a drip tray is little more than another spill waiting to happen, especially outdoors in the rain. The way plant nappies work, and the vital environmental protection they provide, is perfectly illustrated in this short video on the Plant Nappy page of our Spill Control Centre website. The video highlights the extent of the damage spilled oil can cause with a litre of oil being sufficient to contaminate a million gallons of water. With this in mind, it really is prudent to consider the pre-emptive containment option that Plant Nappy offers to you. The Plant Nappy principle is the same in every case. There is a Plant Nappy unit which is supplied in a variety of sizes to suit the application being undertaken and the size of the plant to be positioned onto it. Then, to prolong the life of your Plant Nappy, replacement liners can be purchased – these are great to protect and extend the life of your Plant Nappy if you plan to position it on rough ground with plant on it. The liners come in a variety of different sizes to fit different sized plant nappies. As well as the size of your plant, when making your decision it is worth bearing in mind another significant factor – how much oil can it contain? This Plant Nappy, for instance, is our biggest and measures 2m x 1.4m, and will absorb 18 litres of fuel or oil. Doing your bit for the environment and helping your company’s bottom line often don’t go hand in hand. However, with the Plant Nappy they do – this is because the Plant Nappy’s life can be prolonged by using cost effective replacement liners rather than always having to replace the Plant Nappy itself. Take a look at our Plant Nappy range here. This entry was posted in Spill Containment and tagged oil spills, plant nappy on April 4, 2016 by neil.stocks. Spill Control Centre guides you through how spill drain covers are effective and easy to deploy. The drain cover is a valuable tool in any company’s spill control toolkit. It’s a suitable investment for an industrial business because it protects you from the considerable cost of a fine and prosecution for damaging the environment. The old adage says it’s no use closing the stable door after the horse has bolted. I’d beg to differ. My reason is to be found in a concept that’s been around since the late 1920s, created by Frigyes Karinthy, and popularised by Pulitzer Prize winner John Guare in a play in 1990. I wouldn’t expect you to know about Karinthy*. (In truth, I hadn’t heard of him myself until I started writing this blog). But I’m sure you’ve heard of John Guare’s explanation that everyone is connected to everyone else by no more than six degrees of separation. In its broadest sense those connections take many forms, but they’re not all obvious. They even include the drains, because what you spill or pour down them is then well on its way to making all those connections, and travelling a substantial distance from where its journey began. And that’s why I contend, it is possible to close the stable door after the horse has bolted. In the event of a spill, quick thinking and the instant availability and deployment of drain covers can stop it in its tracks. The drain cover is a simple concept – an instantly-deployable flexible pad forming an effective seal, or drain protector, to prevent spilled chemicals and oils from getting into the drainage system and causing environmental damage stretching many miles from the source of the spill. 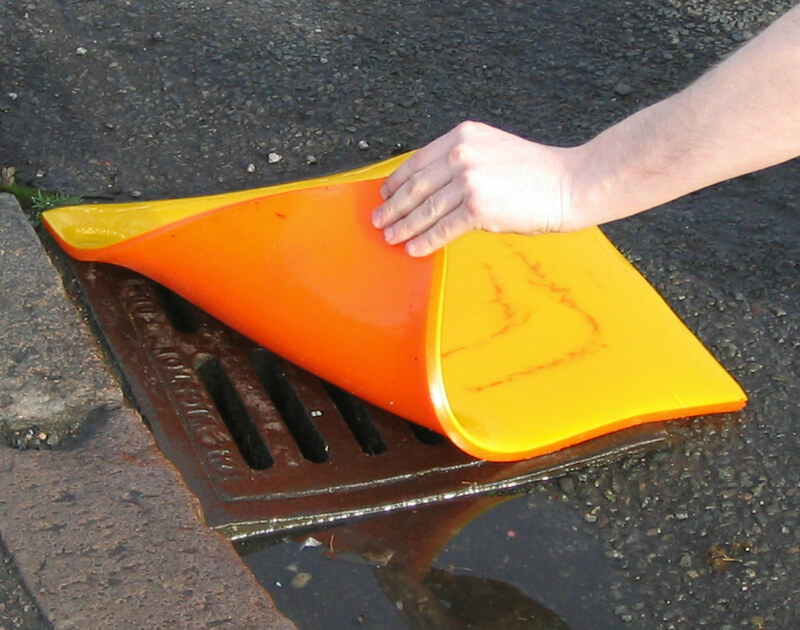 By sealing off the drains, and being used in conjunction with other spill containment equipment including absorbent booms and socks, they make sure any spill is restricted to the smallest possible area, simultaneously minimising or even eliminating environmental damage and simplifying the clean-up process. What are drain covers made of? The most common materials are polyurethane, clay and neoprene drain covers, but whatever you choose will be resistant to all but the most aggressive chemicals. A polyurethane or neoprene drain cover will be resistant to tearing, and their extra heavy-duty properties mean they can be used a number of times. The latter are a single-use option, but can be very effectively shaped to cover awkward shapes. Between them, they are available in a series of sizes to suit all common drain openings, and have accessories to make storage as convenient as possible. It’s also worth pointing out that if you have to use a drain cover several times, then it might be worth examining your processes to see why spills are being caused. The more often they happen, the more likely the next time, someone won’t be fast enough with the drain cover and to return to where I started, the horse will have well and truly bolted. In worst case scenarios the chemicals or oils will be in the drains, and you might find yourself being prosecuted by the Environment Agency, leading to a very hefty fine. In that context, paying for a selection of drain covers and teaching people how to use them would prove to have been money very well spent. * For the record, Karinthy was a Hungarian-born writer. The ‘six degrees of separation’ notion appears in his 1929 short story called Chains. View our range of drain cover products to protect the environment. This entry was posted in Spill Control and tagged chemical spill, clay, Containing spills, drain, drain covers, neoprene, oil spills, polyurethane on March 31, 2015 by neil.stocks. Petroleum based Oil is used in virtually every walk of life so it is not surprising that oil spills are the most common environmental hazard. Oil accidentally leaked into the environment can and does have a devastating effect on flora and fauna both on land and in water. 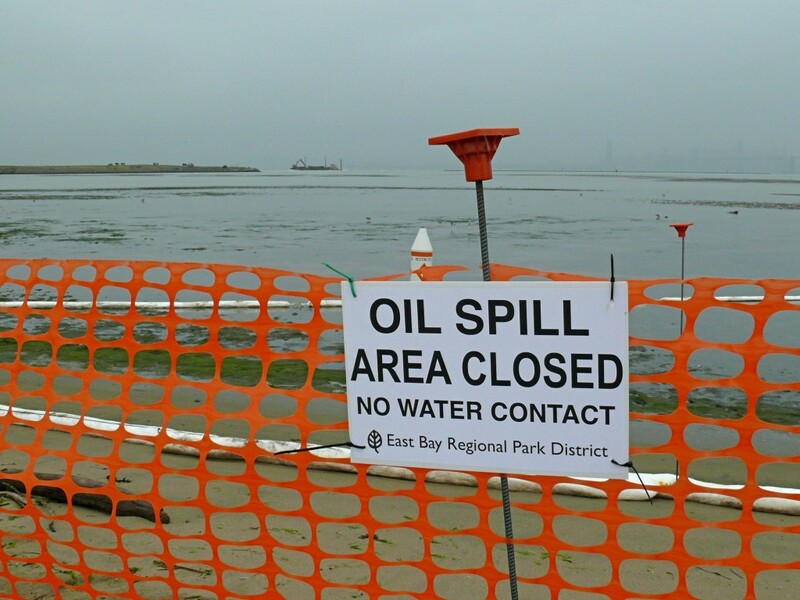 Oil spills are not only a danger to the environment. In the workplace slippery oil on the floor or on machinery is a common cause of injury and skin problems and a real fire risk where heat is also present. High profile incidents like the Macondo Well incident in the Gulf of Mexico may grab the headlines but are thankfully rare compared to the many smaller spill incidents that happen in their thousands every day. Be in no doubt that polluting the environment is a crime and the law can come down hard on those that are seen to be irresponsible in taking adequate spill control precautions. If your business or even home hobby or leisure activities involve the use and handling of oil there is really no excuse if you are caught unprepared for the inevitable spill. Oil Spill control products designed specifically for the fast safe absorption and control of oil spills are available for every kind of spill including absorbent pads and high capacity absorbent socks for larger spills on land and marine grade flotation absorbent booms to contain spills into water courses and the marine environment. Conducting a spill risk assessment is the first stage in determining the best spill control product solutions for your potential risks. Pay particular attention to any open drains or natural run offs that may pollute water courses and of course the risks to yourself and others through poor spill control. This entry was posted in Spill Containment and tagged chemical spill, Clean up spills, clean-up, Containing spills, Fuel spills, oil spill, oil spills, Spill clean up, spill control equipment on May 30, 2012 by neil.stocks.